The infamous island lifestyle is all around here in Hawaii, so working with Aloha as a Realtor® is the ultimate way to introduce clients to their perfect property fit. Assisting all residential real estate investments, whether searching for a first-time Maui vacation condo, selecting a Primary Residence or Second-Home here on Maui, or if vacant land to build the new dream. I will always provide a dedicated service and always engaged to help those who are in search of our famous Maui Life Style in some fashion. My focus is ALWAYS on the client's goals and their best interests while going above and beyond to ensure the best quality of service and experience to offer. Specialized Areas, but not limited to KIHEI. WAILEA. MAKENA. and also serving the greater Maui County where clients are searching. 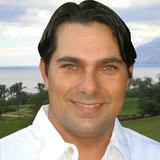 Contact me and start discovering Your MAUI Life Style Adventure Today !! I confirm that I worked with Justin G. Maguire in the buying or selling of this property.